The world of HVAC system ownership can be an intimidating one. What size unit should I purchase? Is HVAC right for me and my building? How often should I repair and clean my equipment? When should I replace my unit? We here at General Air of Greenville, SC want to put to rest your worries and attempt to answer as many of these questions as comprehensively as possible. As always though, these are just general pieces of advice, and it is always recommended that you contact an HVAC professional to quote and assess your specific situation. Is an HVAC system right for me? It is important, right away, to decide if a full HVAC system is right for you, your building, and your business. Although HVAC can be the perfect solution for most Greenville S.C. businesses and buildings, it is important to assess a few things right away and to communicate those with an HVAC professional. First, it is important to think about the function of a building. How will the building be used? The reason this is important is that every facet of the HVAC unit can be tailored to your needs. If you are looking to cool a warehouse, with no need for individual temperature adjustments, then a powerful simple HVAC system should be perfect for you. If the system will have multiple tenants, it might be smarter to divide the single cost between multiple people, as opposed to installing multiple individual systems. Even the noise level produced by the unit might be important, buildings such as schools or libraries might need quieter systems. It is important to assess your building’s individual needs and to use this information to determine the specific HVAC system for your needs. A building’s size and shape are an important limitation in deciding what units are applicable. In a skyscraper, for example, a rooftop based HVAC system would not be the most efficient. In differently shaped buildings, there might have to be HVAC systems divided to reach odd corners that might not be reached by conventional HVAC units. Depending on the desired location of the HVAC unit this may cause limitations, but the most efficient way to place an HVAC unit is within the buildings it is cooling. Despite what you might be initially lead to believe, bigger AC units are not always better. While logic might lead one to believe it will cool quicker, an oversized AC unit will be drastically less efficient and lack the humidifying effects of an HVAC system more appropriately sized for your needs. Alternatively, a unit that is too small will also waste energy, but also work less efficiently to cool your space. The function of an AC unit is self-explanatory, to cool. But, modern units actually play a key role in dehumidifying your air. 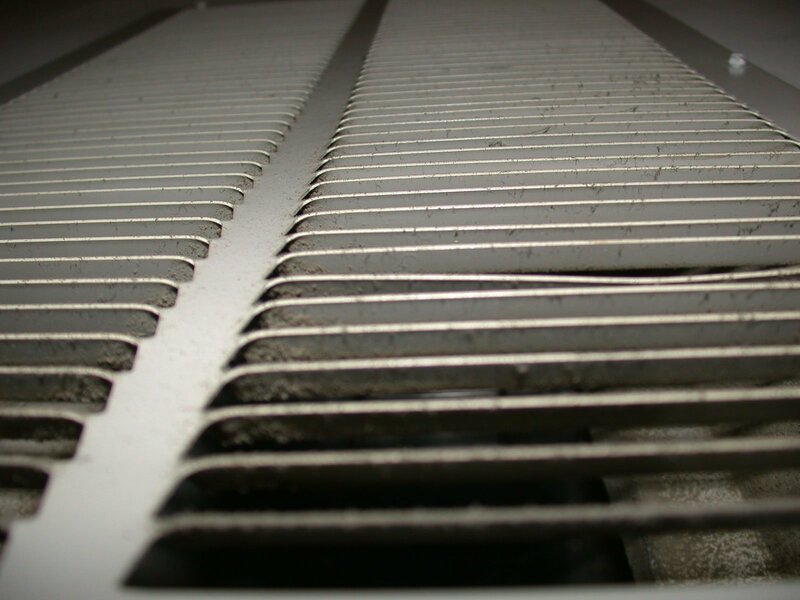 This works by filtering the air through your unit at a specific rate, which will help remove moisture from the air. And although a larger AC unit can efficiently cool a room in a shorter time, the air will have moved too quickly to properly dehumidify. This leaves the air damp and sticky. The unit also frequently disengages and re-engages throughout the day, which although turning your AC unit off for longer periods of time can actually save you energy, sporadic and quick fluctuations are a large waste of energy and wear on your unit. 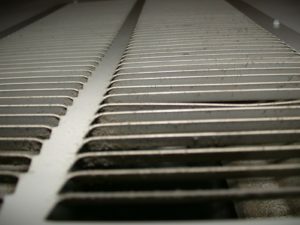 If a bigger AC unit wastes money by frequently turning off and on, it makes sense that a unit that is too small wastes energy by running too much. A smaller unit is simply not able to produce enough cool air to compete with the influx of temperature, leaving the system to constantly run and waste energy doing a job for a bigger AC unit. The perfect AC unit will not only be more efficient and save you money but will also produce the most comfortable climate in your home compared to other improperly sized units. Properly scaled units are based on the square footage they have to cool. An expert can help pick out the perfect size, and you can take a look at Energy Star’s recommended specs. When Do I Schedule Cleaning and Maintenance? Your HVAC system works tirelessly through the Greenville South Carolina seasons, heating in the winter and cooling in the summer. But exactly how many seasons until it needs to be cleaned? Fixed? Checked up on? To ensure the highest efficiency and to catch any serious issues before they cause damage, a regular check-up and cleaning is highly recommended for your HVAC system. The most optimum time to schedule maintenance and cleaning is before the start of each major season. General Air will send a qualified professional to investigate the entire unit, cleaning or replace any air filters, tighten any screws, clear any blockages and doing a systems check to make sure there are no problems that can become serious. This check-up will ensure that your system is prepared for the coming winter or summer, and ready to run at maximum efficiency. It’s also important to keep an eye out for leaks and loss in cooling effectiveness, as these might be signs that your unit is suffering damage or blockages. Scheduling regular check-ups should prevent such occurrences, but it’s possible for a situation to arise. Keeping up with your HVAC system, and using General Air’s qualified professionals to maintain and clean your unit will extend the life of your system and save you money, so schedule an appointment today to get your unit checked up on if it’s been a while. Knowledge is power, you can tackle your HVAC system’s issues with confidence using these guidelines and a General Air HVAC System expert. General Air is able to help you every step of the way, whether getting a quote to install a system, repairing your current unit, or even replacing if need be. General Air’s Greenville SC HVAC experts are ready to work for you, contact us now. previous post: How Do I Increase My HVAC Effeciency? next post: How Do I Improve My Air Quality?